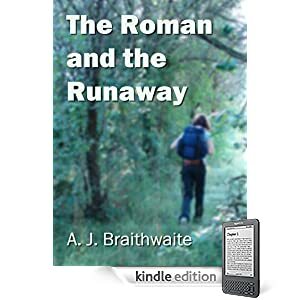 When I first looked at using Amazon to publish The Roman and the Runaway, which I suppose was about a year ago, it seemed very complicated. I got a long way through the process before realising that I couldn’t complete it, as I didn’t live in the US. It also wasn’t possible to make the book available for free, as it is on Smashwords, so I gave up on Amazon at that point, thinking that eventually my book would get there through the Smashwords distribution system. It was only recently that I found out that publishing on Amazon is now possible for non-US residents and that it is significantly easier to do so. Two days ago, I uploaded the book and set the price at $0.99. And this morning it’s on Amazon’s US and UK sites (it’s 71 pence in the UK). The whole process was a lot easier than I expected it to be, after my initial experiments last year. Now I’m kicking myself for not doing it sooner!